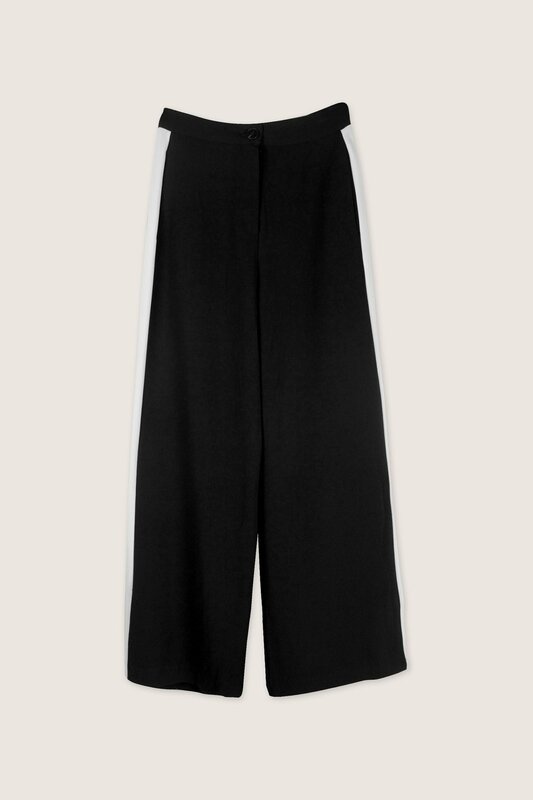 Crafted from a comfortable crepe-inspired material, these pants feature a relaxed, straight-legged silhouette with a tailored waistband for a classic look. 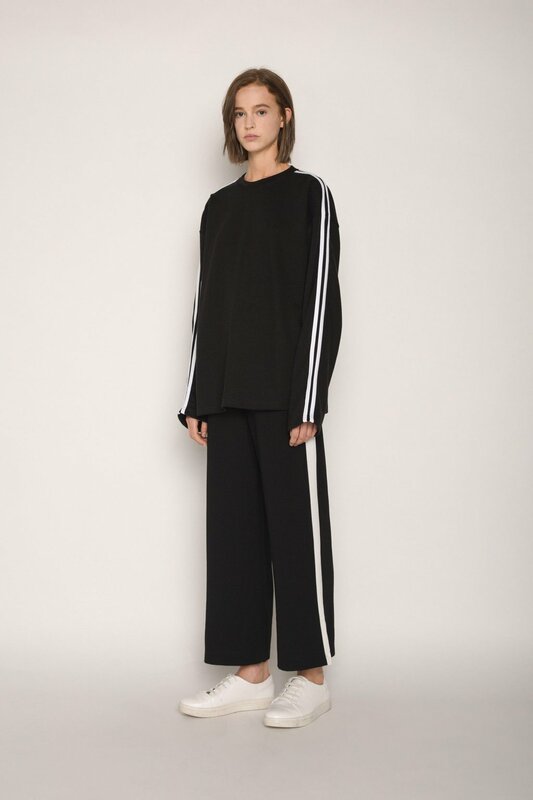 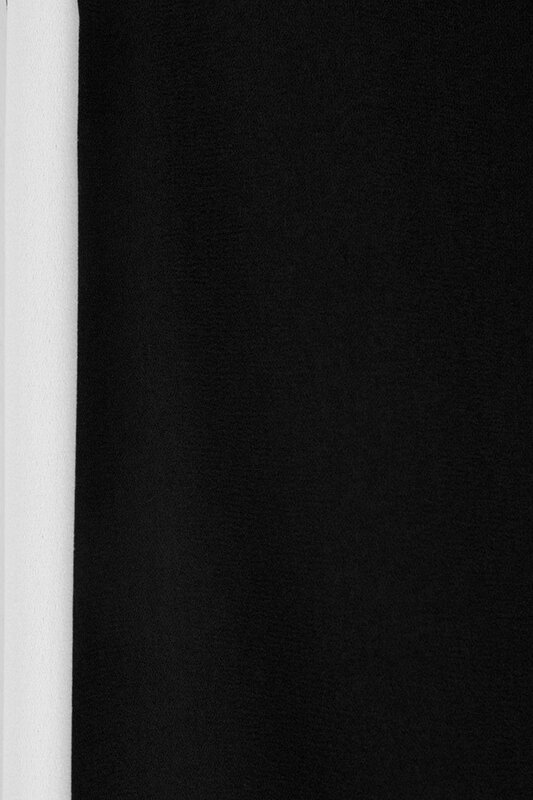 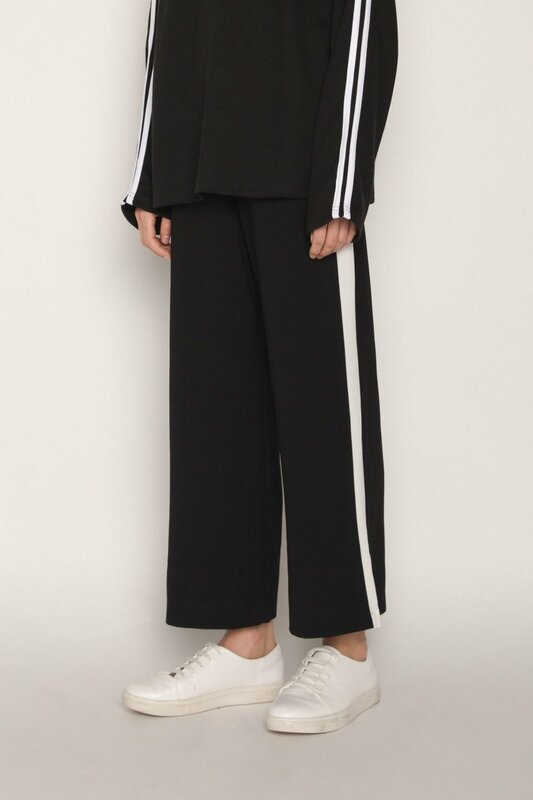 The contrasting white side stripes add a chic, athletic vibe to these otherwise classic trousers. 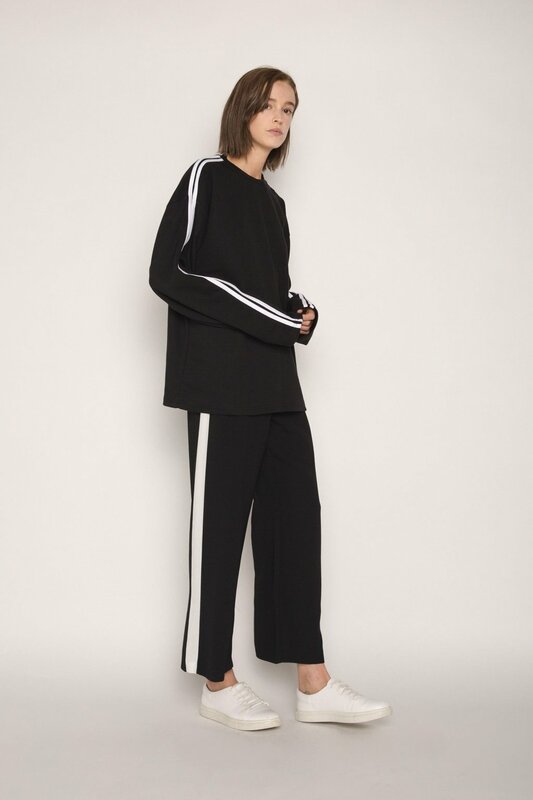 Pair with a turtleneck, moto leather jacket, and sneakers for an effortlessly cool everyday look.